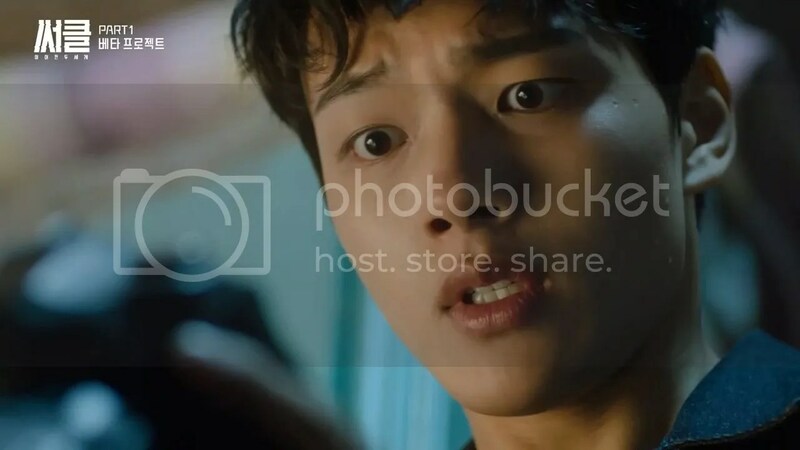 The story begins with Kim Woo Jin (Yeo Jin Goo) as a young child and when his twin brother, Kim Bum Kyun (Ahn Woo Yeon), retrieves him from the woods. They notice a strange light following them and they try to run away in fear. As they are about to get into a head on collision, their dad exits the car that he was in and runs to them. A strange figure emerges from the light and changes into a human form. 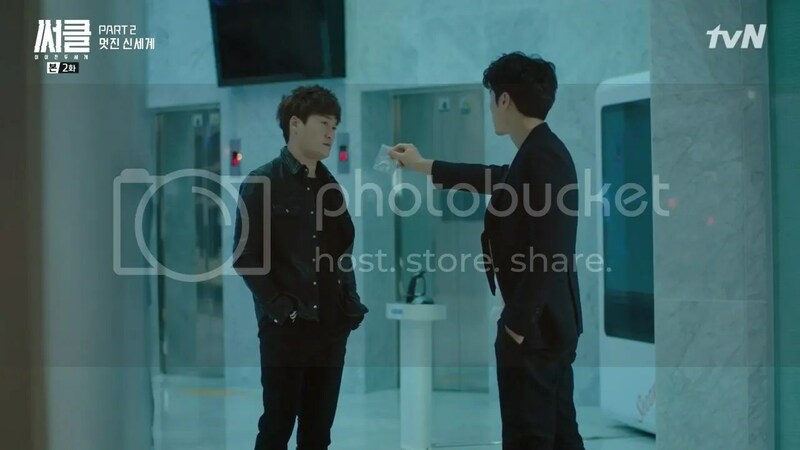 Young Woo Jin points out that it is an alien. 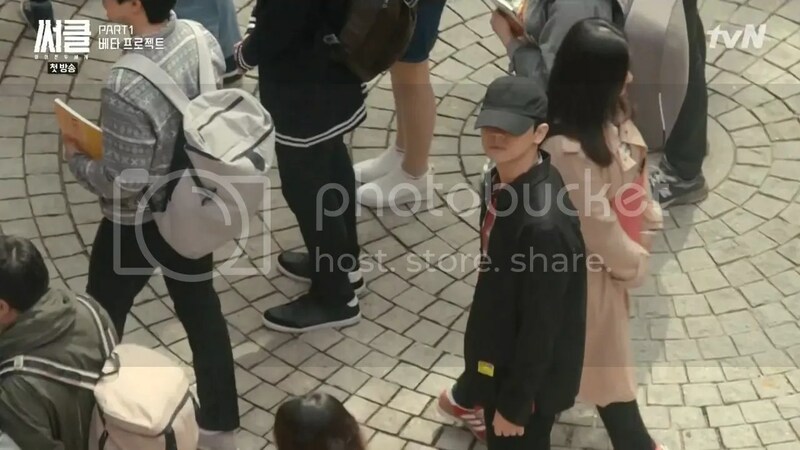 We skip to present day where Woo Jin is now in college. 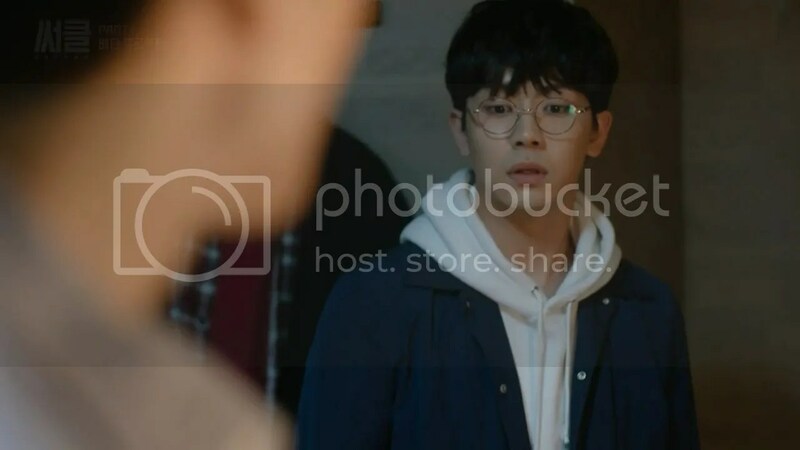 Despite the fact that many of his classmates are protesting change within the university, Woo Jin refuses to join in. He’s a hard worker whose goal is getting ahead in life but he’s not very well liked by his classmates. When news hits that one of the seniors in his class has committed suicide, he senselessly goes to his department the next day to inquire whether his professor is looking for the next assistant. 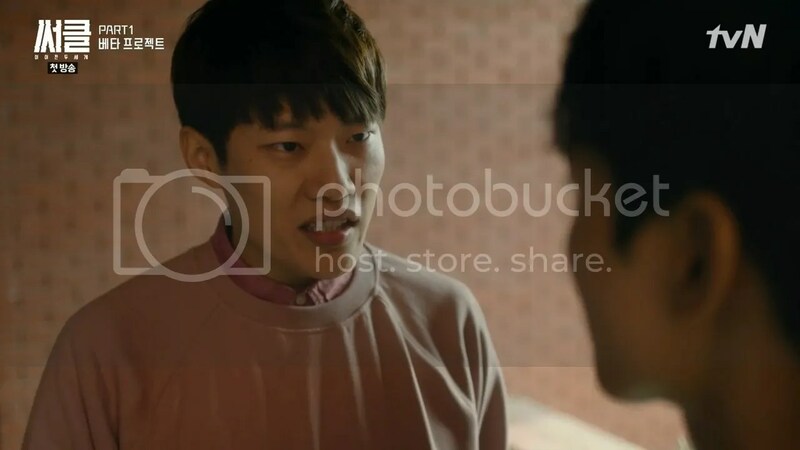 Another classmate admonishes him for his behavior but Woo Jin stands his ground. After all, this classmate pushed his work off on the senior and took all the credit. Woo Jin doesn’t feel that he deserves to be admonished by someone like that. The classmate comes back with a retort about whether his brother’s been released from jail. It hits a sour note but Woo Jin refuses to let the classmate’s retort get the best of him. 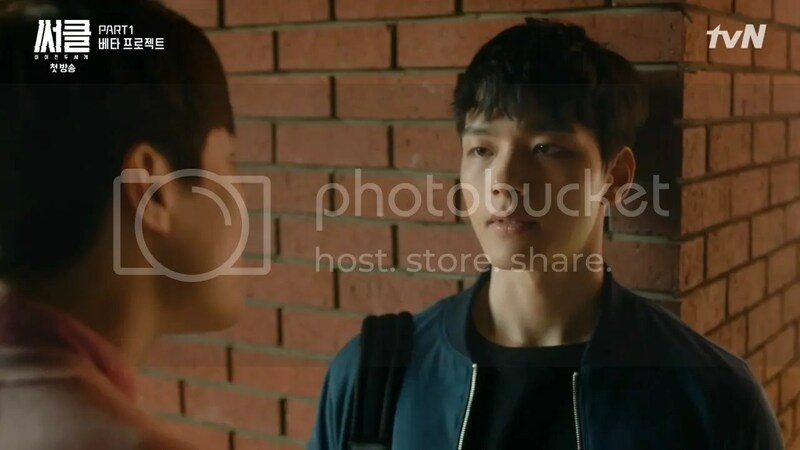 At the site where the body was found on campus, Woo Jin happens to overhear that there was as suspicious man on campus who was holding a taser. It reminds him of the fact that his brother used it to accidentally kill the girl that resulted in him going to prison. 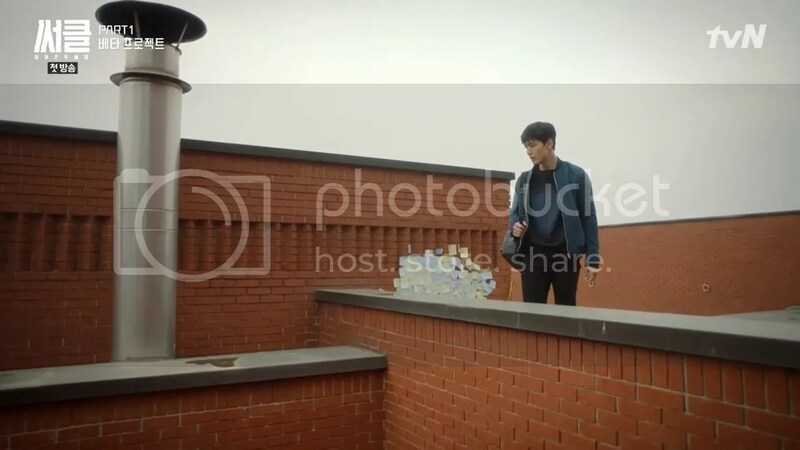 Woo Jin goes to the roof out of curiosity when he notices a familiar figure standing in the crowd below. He races out to the campus but is unable to find the mysterious figure. Later at home, he is surprised to discover that his brother got released early due to good behavior. Despite being happy to have his brother home again, Woo Jin is still concerned that Bum Kyun is still suffering from delusions. His brother assures him that he’s okay and that he’s even found a job at a bakery. 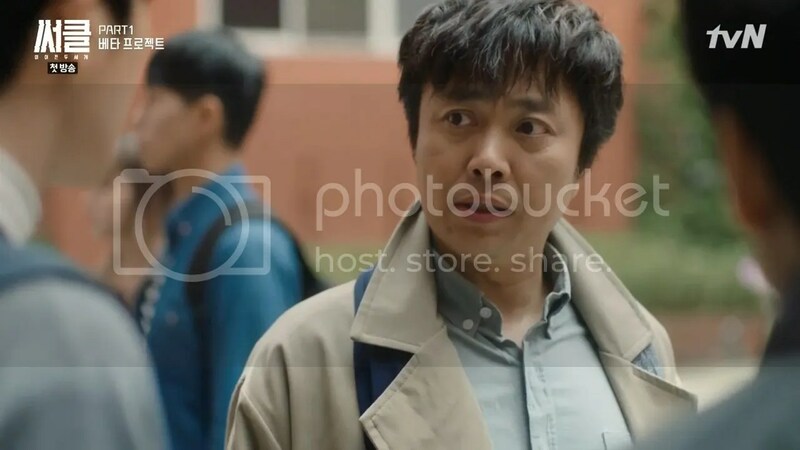 Relieved, Woo Jin goes to school to see if he could secure the assistant position again when he notices a familiar number at the desk of the senior who committed suicide. It’s his Bum Kyun’s number. 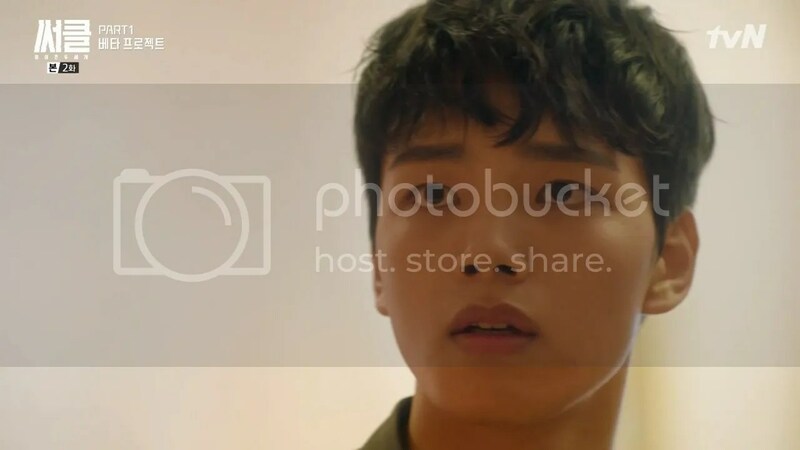 He calls his brother who tells him that he’ll be late coming home as he will be working at the bakery but then discovers that his brother has a room at a motel. He waits for his brother to leave before bashing the handle. Inside the room, he discovers that his brother has not given up the search for the alien. He also sees the outfit of the mysterious figure that was standing in the campus as well as the taser. His brother returns to the room and Woo Jin calls him out on his lies. Bum Kyun insists that he did not kill the senior classmate and that he’s not crazy. He knows that aliens exist. After all, he remembers that the strange woman took away their father. Bum Kyun tries to take his brother to one of the locations where he believed the alien was but it’s turns out to be just an empty office. Bum Kyun refuses to give up the search and runs out into the street. Woo Jin chases after him to find that he hasn’t run away. Instead, he’s staring out into the streets and the two boys notice a familiar figure. It’s the same woman that they saw 10 years ago, except she hasn’t aged. In 2037, Seoul has been split into two districts, the General District and the Smart District. The General District has become a polluted ghetto. In reverse, the Smart District has clean air and the residents supposedly live healthy and happy lives. Kim Joon Hyuk (Kim Kang Woo) is a detective in the General District. He uses his informants to see if they can hack into the Smart District. 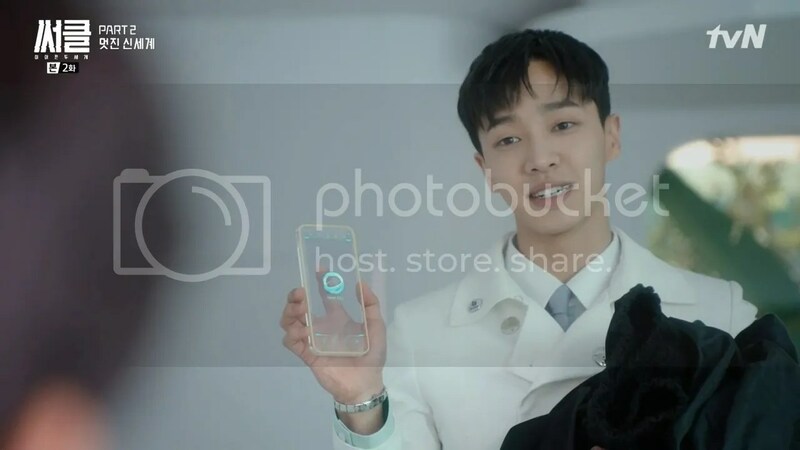 Hacker Lee Dong Soo (Oh Ui Shik) informs him that it is impossible to hack into the Smart District. He’s heard of one hacker, Bluebird, who has been able to hack into the Smart District system but it’s an urban legend. 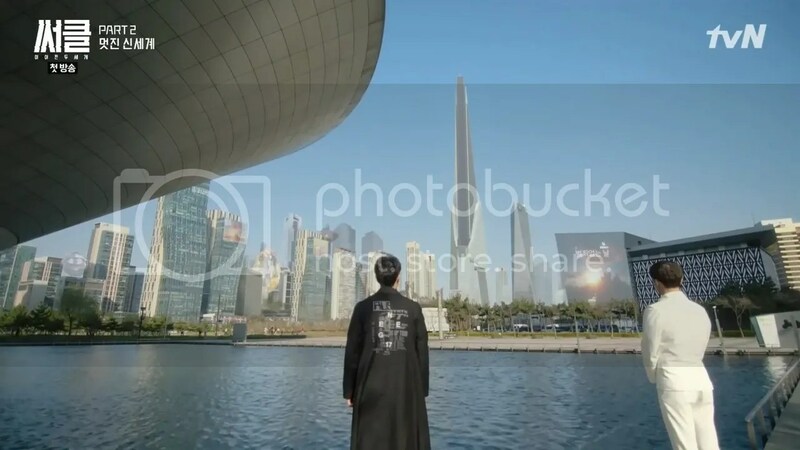 That is, until Joon Hyuk gets a call about a kidnapping within the Smart District. It alerts both Joon Hyuk and Detective Hong Jin Hong. It’s the same detective who was investing the suicide case in 2017. It’s a bit more alarming when they learn that it was a kidnapping suspect that Detective Hong had to let go years ago. When they arrive at the Smart District, the two detectives try to gain entry but are met with guards at the door. The detectives demand to be let in right away as there is a crime happening in the district. 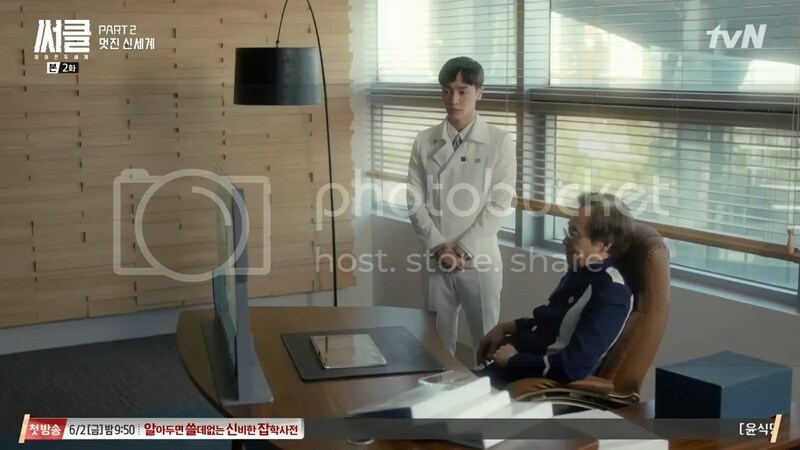 The news seem to alarm people who are standing by so Lee Ho Soo (Lee Ki Kwang) escorts the detectives to a private room. He informs that that a crime cannot happen within the Smart District because of the Safety Care System that is in place. 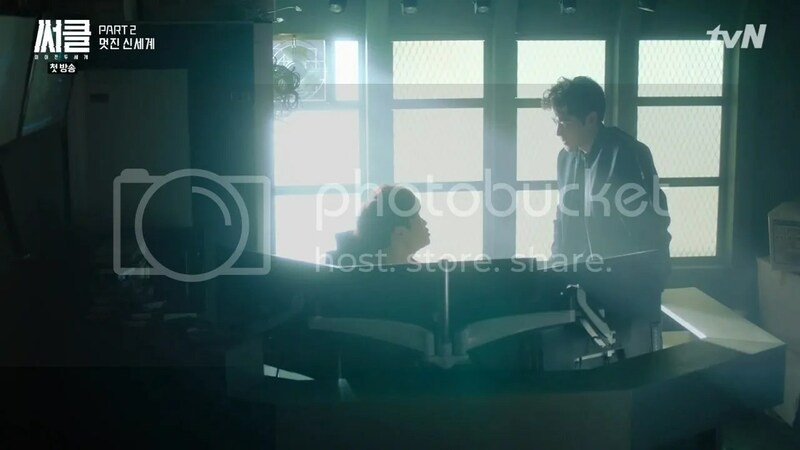 Joon Hyuk makes him listen to the 911 call but Ho Soo reasons that it must have been a call placed by a hacker. It angers Joon Hyuk and he grabs Ho Soo but the Safety Care System calms Ho Soo down. 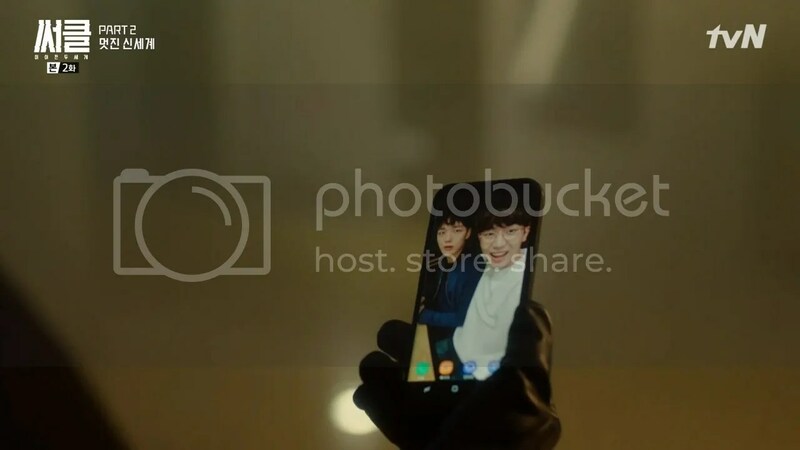 Ho Soo then receives a call that the case may have escalated to a murder. 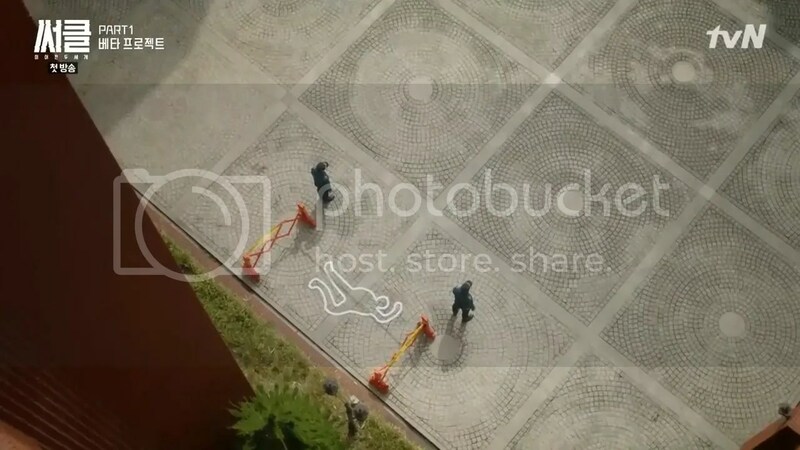 However, the detectives have other plans in order to stay within the Smart District. Joon Hyuk corners Ho Soo and demands to know what they are hiding and whether they’re hiding anything. Joon Hyuk shows Ho Soo a video of the caller, Kim Min Ji, killing her kidnapper. The heads of Smart City are all concerned about the incident and feel that the only way to solve the problem is to allow the detective to solve the case quickly and quietly. Joon Hyuk is given special permission to do so. Back in 2007, Young Woo Jin is saved by the mysterious alien woman from a freak accident. Woo Jin is safe but upon pulling back, he discovers that the woman has a piece of glass stuck in her neck. She looks fine and unalarmed by the glass stuck in her neck. 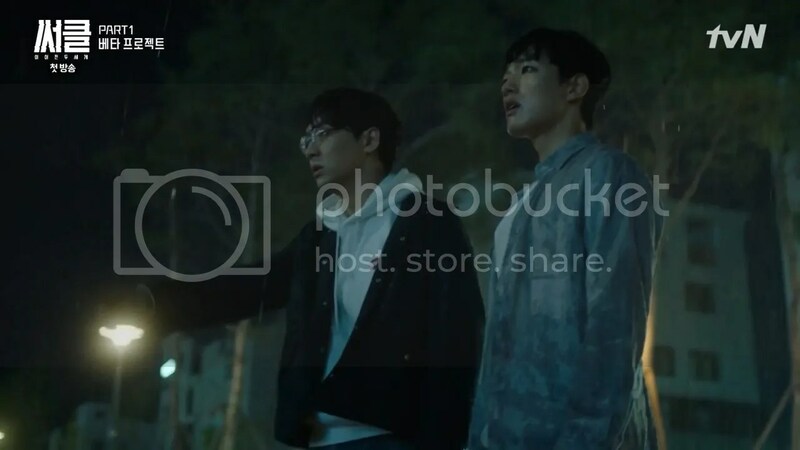 Back to the present day, Woo Jin and Bum Kyun both catch sight of the woman from their past. She boards a bus and Bum Kyun chases after her. 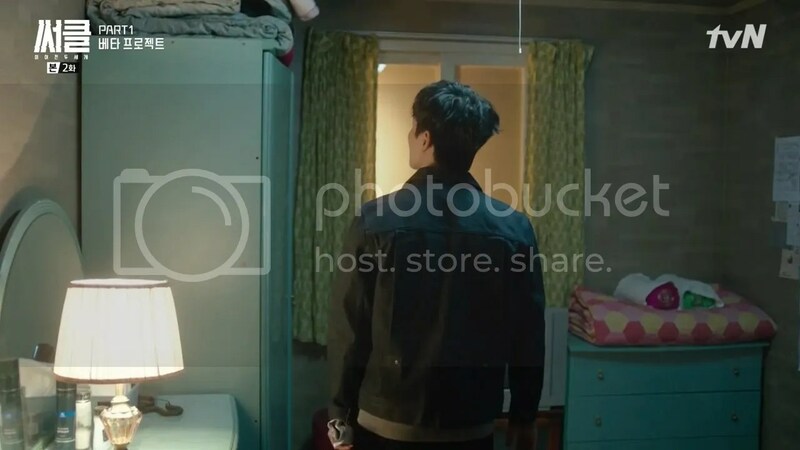 Unable to keep chasing after Bum Kyun, Woo Jin goes back to the motel room for more clues on where his brother could have gone. 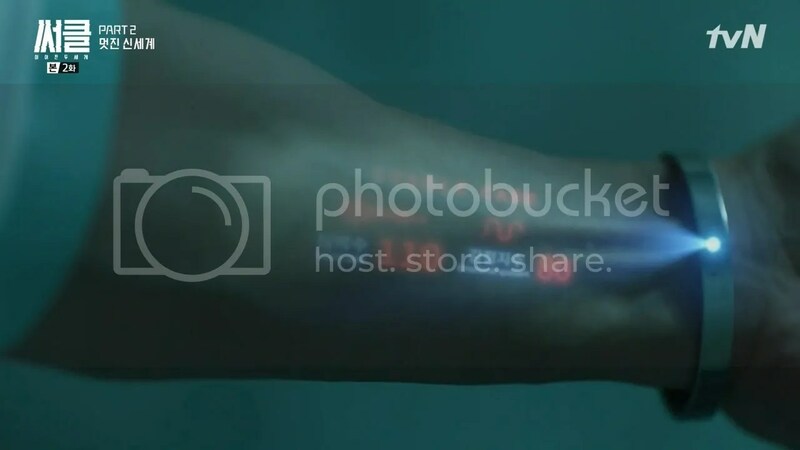 However, he notices a camera with pictures of the mysterious woman. He gets a call from the hospital to hear that his brother is scratched up but fine. Bum Kyun insists that the alien exists but Woo Jin doesn’t want to hear it. Woo Jin draws a line and says that if Bum Kyun isn’t willing to give up this search then he doesn’t ever want to see his brother again. 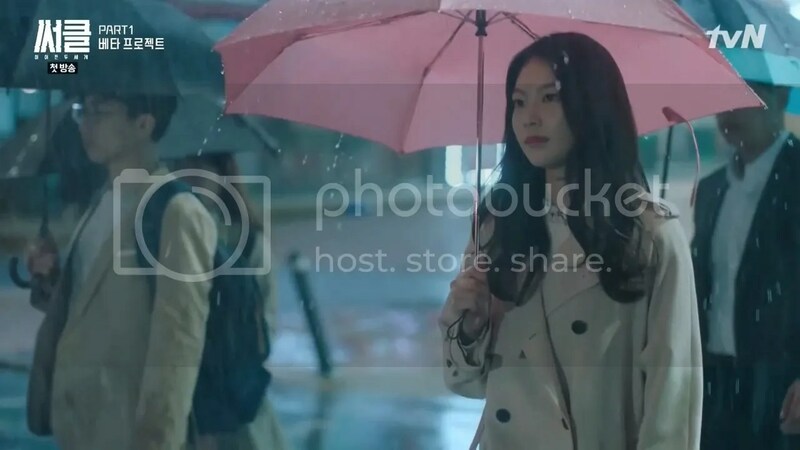 On campus the next day, he notices the mysterious girl he saw in the rain. Although he chases after her, she disappears. Then in class, he is paired with the new girl in the class. It’s the mysterious girl that he’s seen before, Han Jung Yun (Gong Seung Yun). She tries to go about getting their assignment done but Woo Jin can’t resist asking her who she is, where she’s from and how old she is. 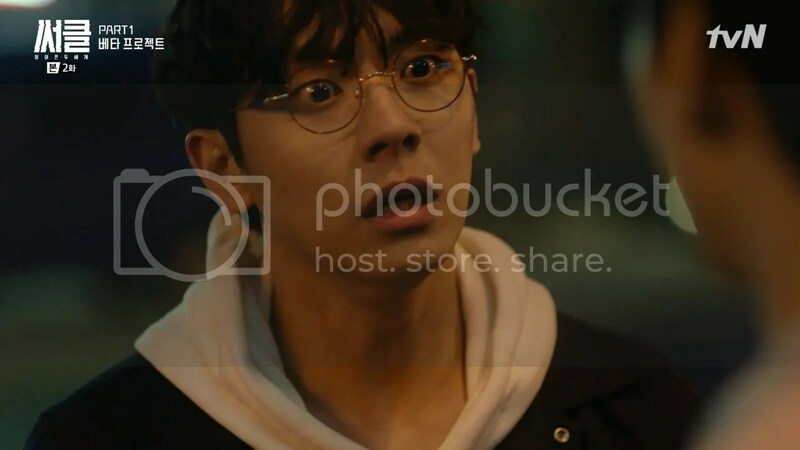 Jung Yun is alarmed by his behavior but puts it past her. As they work on their assignment together, Woo Jin is puzzled by her similarity to the mysterious woman but tries to appear normal. 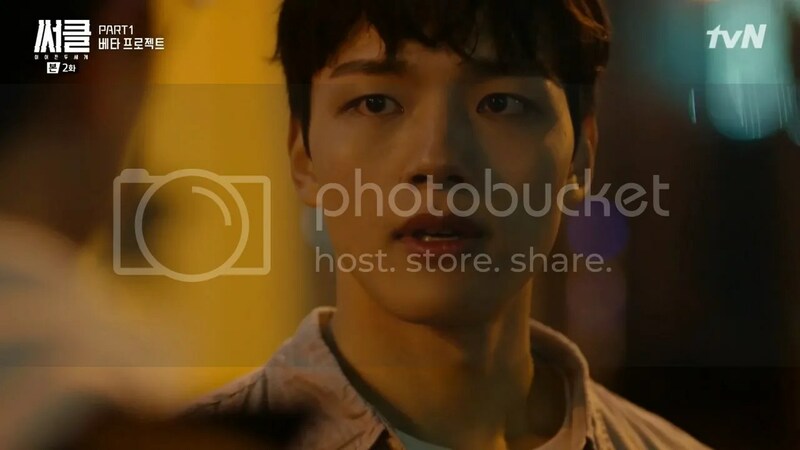 Despite by saying that he never wanted to see his brother again, Woo Jin is worried when he doesn’t hear back from him. He checks the bakery where he works and they claim that he hasn’t shown up to work either. He goes to his brother’s motel and finds a number of addresses that his brother has pinpointed. 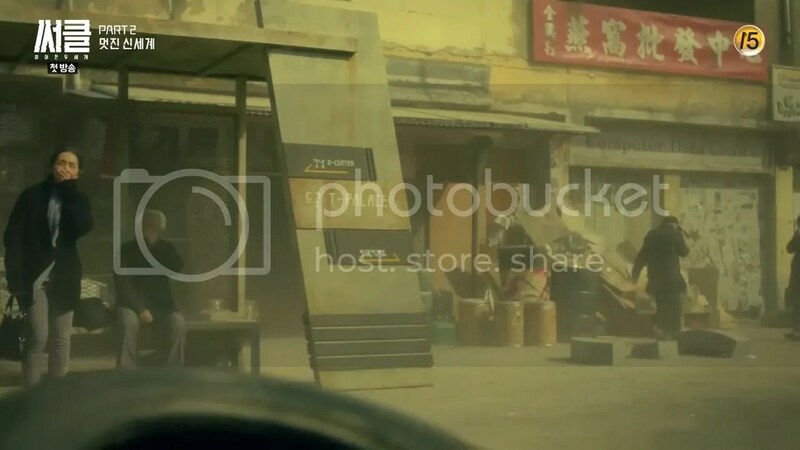 At one of the locations, he finds Jung Yun studying there. Woo Jin attempts to ask if she’s seen his brother but decides not to. 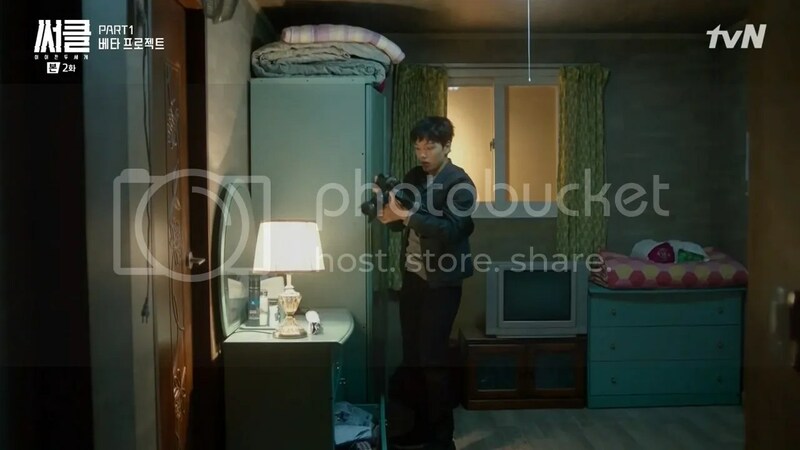 He returns to the motel room and sees that his brother’s camera is missing. 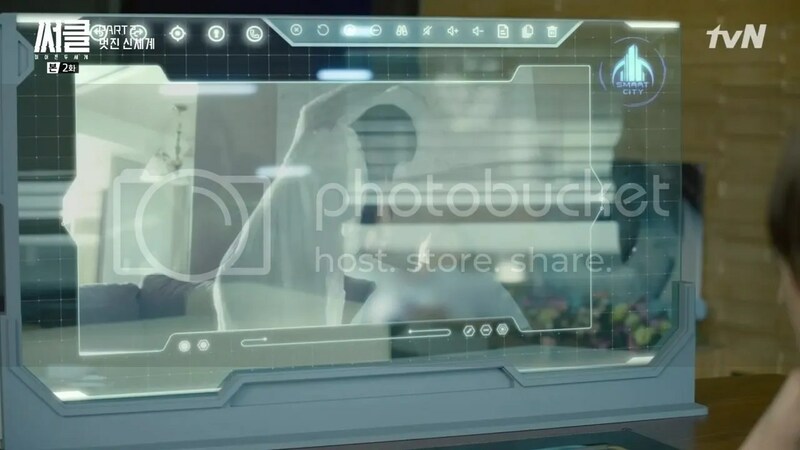 Looking around, he notices that it’s been placed above his dresser to record whoever has come into his room. Later on, it captures a woman and it’s Jung Yun. 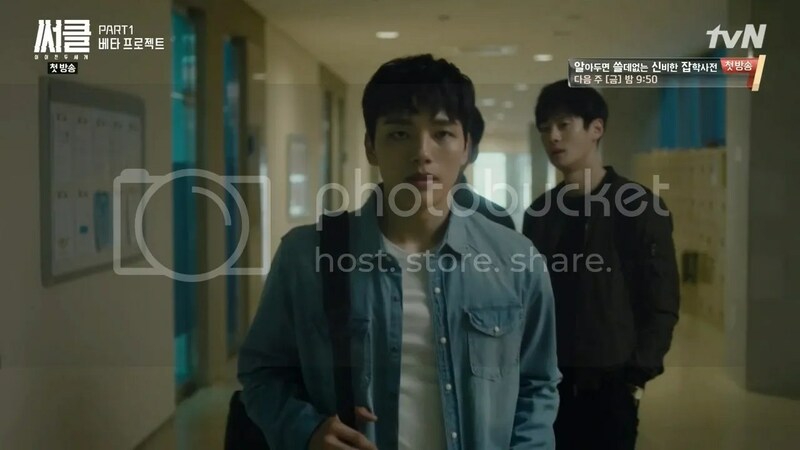 Woo Jin races back to campus to confront Jung Yun. 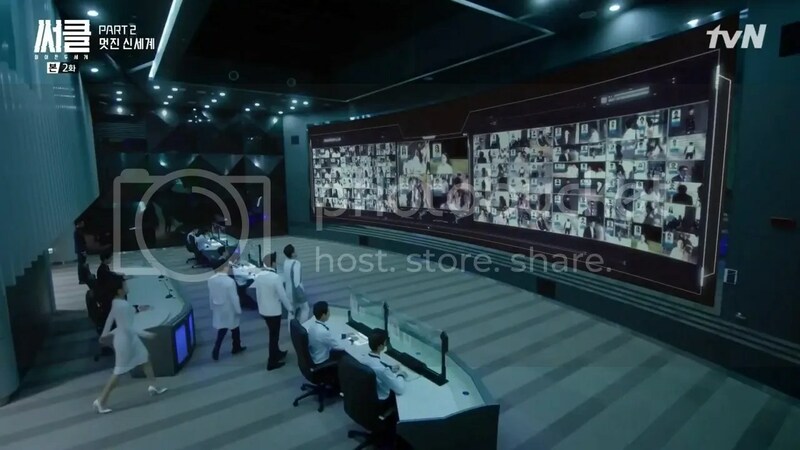 In 2037, Smart City head, Yoon Hak Joo tasks Ho Soo with overseeing the detective. However, the Smart City officials and the Human B officials, who are in charge of the Safety Care System, are not in agreement about how to deal with the situation. Yoon Hak Joo inquires as to whether it is time for the mysterious president of the Safety Care System to step in. Lee Hyun Suk (Min Seong Wook) assures him that there are no errors with their system. Upon looking into Detective Kim Joon Hyuk has no record that goes past 10 years, since he’s become a detective. 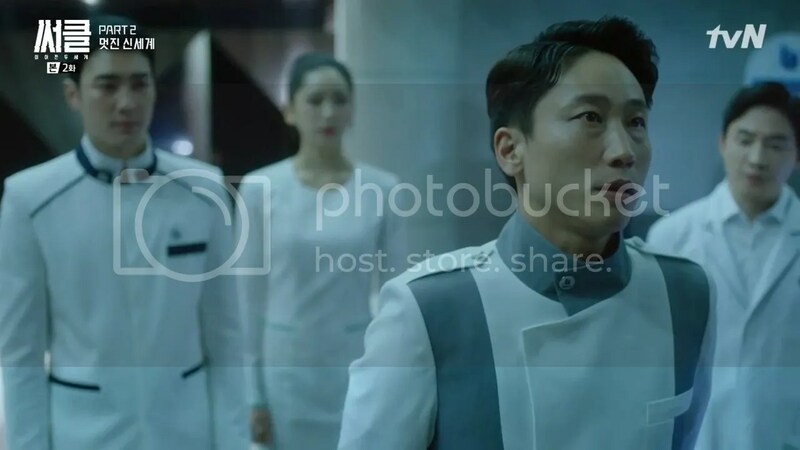 Joon Hyuk is convinced that the chip that is embedded in humans is what may be causing the problem with the Safety Care System. 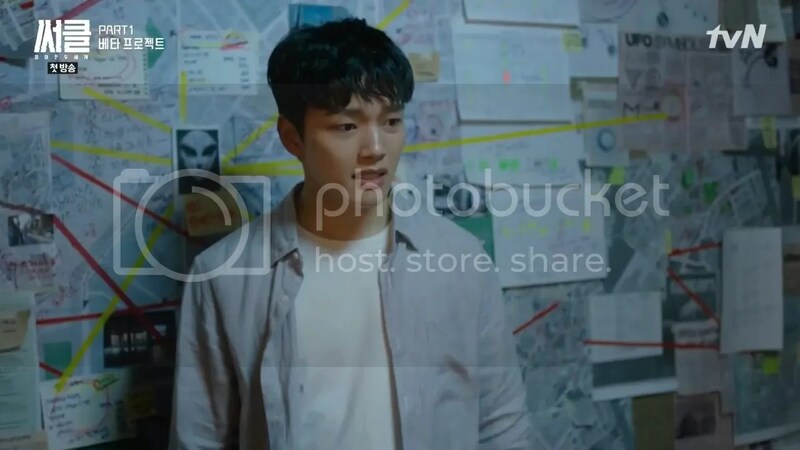 In a call with Detective Hong, he surmises that if he can prove that the chip is the problem, then they might once and finally solve the missing twins case, who happen to be Kim Woo Jin and Kim Bum Kyun. 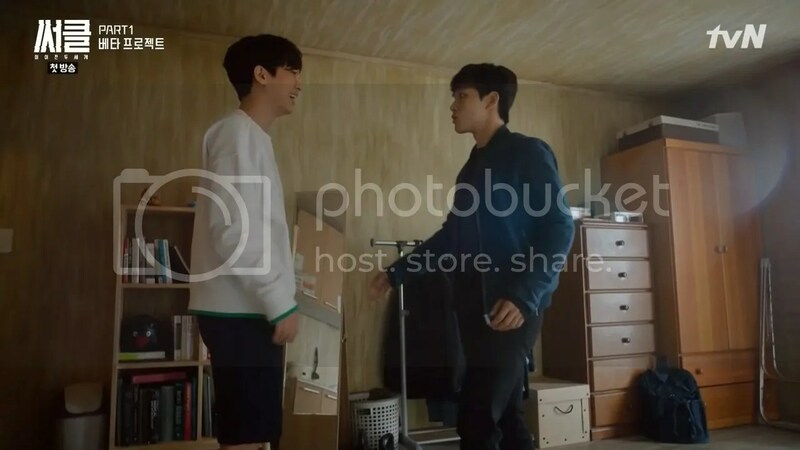 Although Joon Hyuk is staying at Ho Soo’s place while he’s investigating the case, they do not see eye to eye on a lot of things. Joon Hyuk calls him Errot, short for Pierrot, as he keeps smiling as if nothing is wrong. 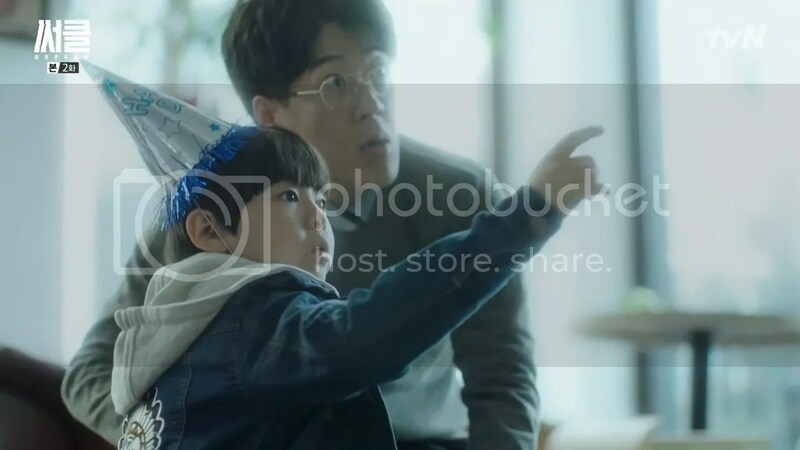 Ho Soo informs him that the Safety Care System keeps everything in check to ensure the safety and well-being of the Smart District residents. We see it come into effect when the two have to view the dead body. Ho Soo becomes overwhelmed with emotion. The mechanisms of the chip monitor his heart rate and blood pressure and it blinks from red to green when he is calm. Joon Hyuk retrieves the chip from the coroner but he’s not convinced that the coroner is telling him the truth. 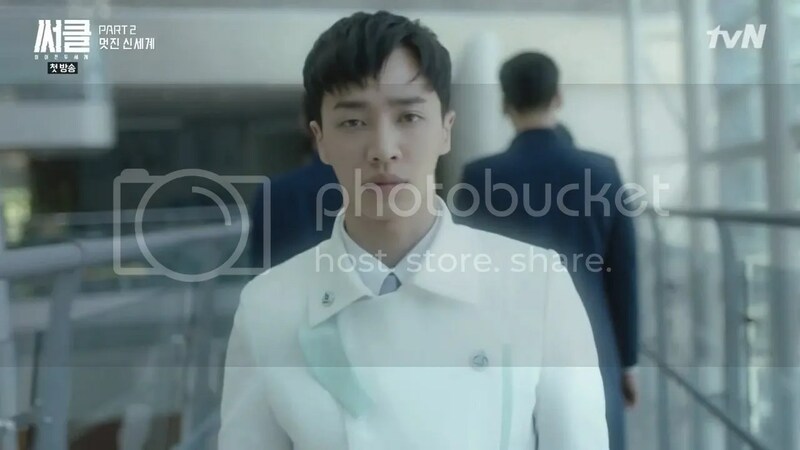 Joon Hyuk waits around to follow the coroner and retrieves the real chip just as Human B official is about to confiscate it. 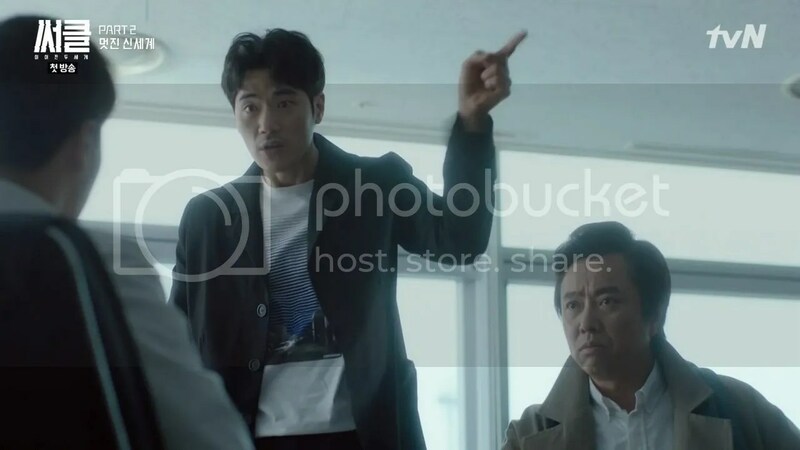 Joon Hyuk wants to know who is interfering with their investigation and demands to meet with the president but Lee Hyun Suk blocks his way. 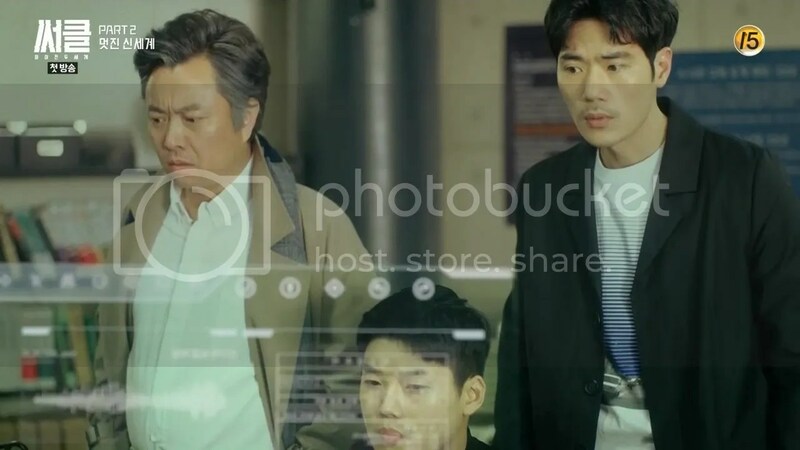 He’s not going to get the answers that he needs from them so goes to Dong Soo so that he can hack his way into the chip to find out the truth. 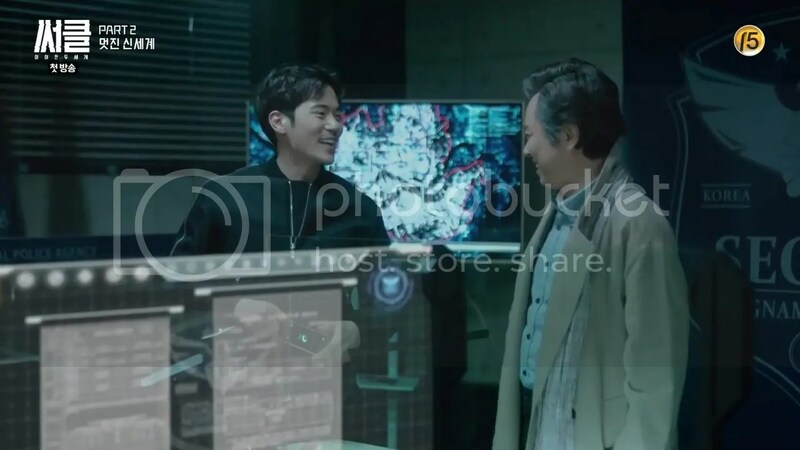 Joon Hyuk reunites with Ho Soo who tells him that he is not allowed to investigate this case alone while he is in the Smart District. 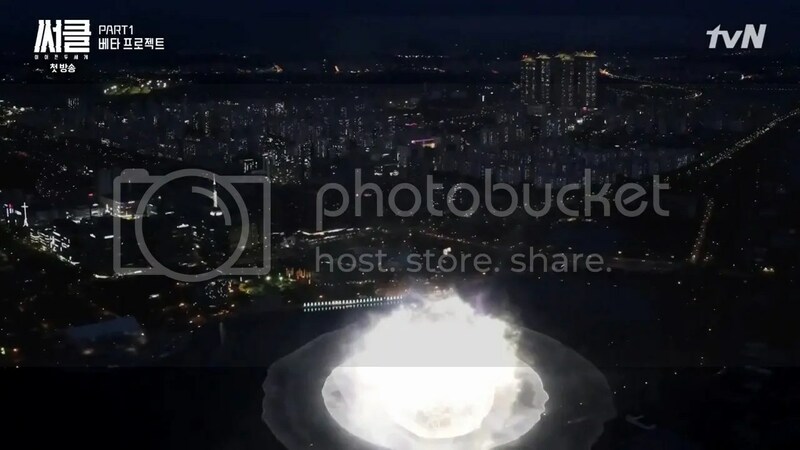 Simultaneously, they both receive an alert of Kim Min Ji’s chip activating in another area of the Smart District. They race to find her but it disappears as they arrive on scene. They discover another man who has been stabbed but this time they are able to get there in time to save the guy’s life. He’s not sure why Kim Min Ji attacked him but he testifies that he noticed Kim Min Ji acting strange. Ho Soo requests to retrieve his recorded memory and it retrieves a recorded encounter with Kim Min Ji. The Kim Min Ji in the recording doesn’t appear to have any animosity towards the victim but relays the story of being kidnapped when she was younger. She’s not sure why she’s having these memories but she also appears to suffer from painful headaches. Joon Hyuk is convinced that their memories were erased and that it is coming back to them now. Privately, we see that Joon Hyuk once had a chip in his head but that it was removed. 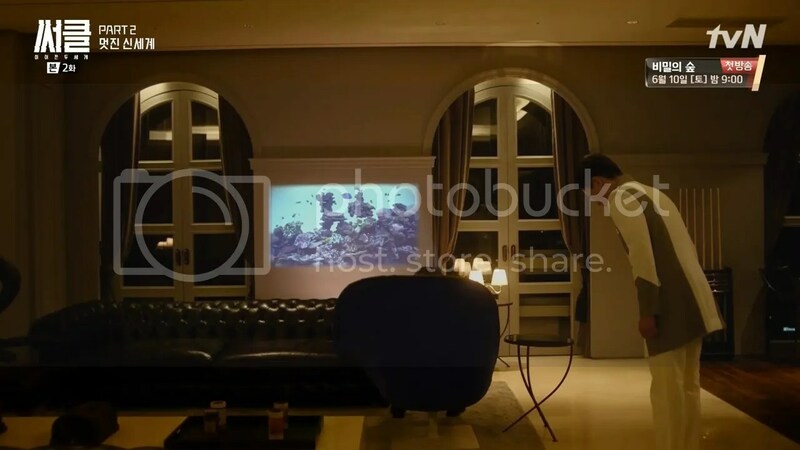 Lee Hyun Suk goes up to the penthouse to meet with the president who is watching videos of Kim Min Ji’s kidnapping. 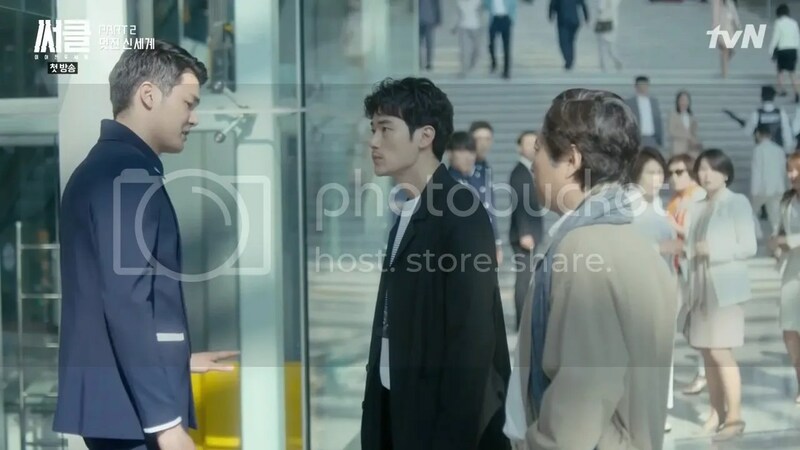 Hyun Suk isn’t sure why the president allowed Joon Hyuk to investigate the case and wonders if the president is aware of who Joon Hyuk really is.